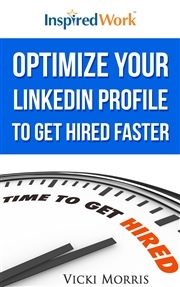 There are over 400 million professionals on LinkedIn today. And yet only 50% of them have completed their LinkedIn profiles. 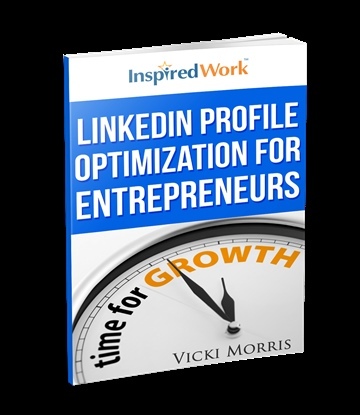 If you are an entrepreneur and don't have a complete and up-to-date LinkedIn Profile, this 10-page book is perfect for you. 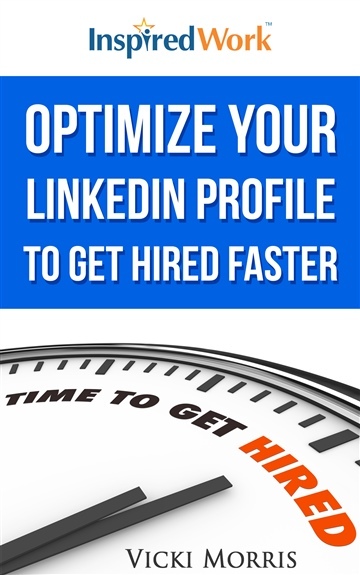 It provides step-by-step guidance on how to update your LinkedIn profile so you can grow your business faster. 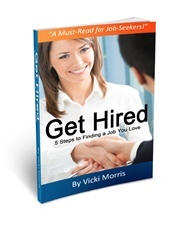 Vicki Morris is the Career Happiness Coach, founder of InspiredWork.com and creator of the InspiredWork™ Career Transformation System, blending twenty-five years of experience as a high tech hiring manager, inspirational business leader, brand strategist, career mentor, and spiritual practitioner. InspiredWork helps professionals raise their energy with Happy Habits and create their own inspired work and brand so they can be happy at work and love their life.